now you can experience the Ki-Energy by these Ki-Infused Products! Master Shin withdraws Ki(Qi)-Energy from universe and carefully infuses them into each patch. If you apply the patch on the problem area, the condition will be improved much faster than conventional methods. Please feel free to contact us at contact@jawellness.com if you have any questions. 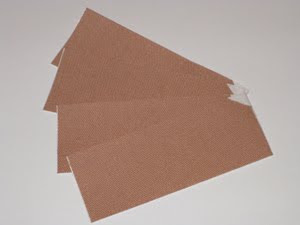 This tape is geared towards Athletes and is to be used to improve and prevent further injuries. This tape will increase blood circulation, nerve functions, and expedite the healing process. Furthermore, it will be good for muscle injuries, joint injuries, and other injuries caused during athletic activities. Size: Each tape is approximately 1.5" X 4 "
The cooling gel sheet will help increase the patient's immune system and help reduce pain/problems. This sheet should be applied to the area that you are experiencing pain/problems before going to bed. Once the sheet is applied, the Ki(Qi)-Energy that is infused in the sheet will enhance blood circulation, nerve functions, and most of all, expedite the healing process. This sheet has been effective for the following symptoms : Cancer, Rheumatoid Arthritis, Chronic Fatigue Syndrome, Hormone Disorder, Muscle/Joint Pain, and many others. 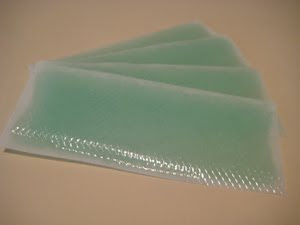 Size: Each sheet is approximately 2" X 5"
For more information about the therapy, please visit our website.